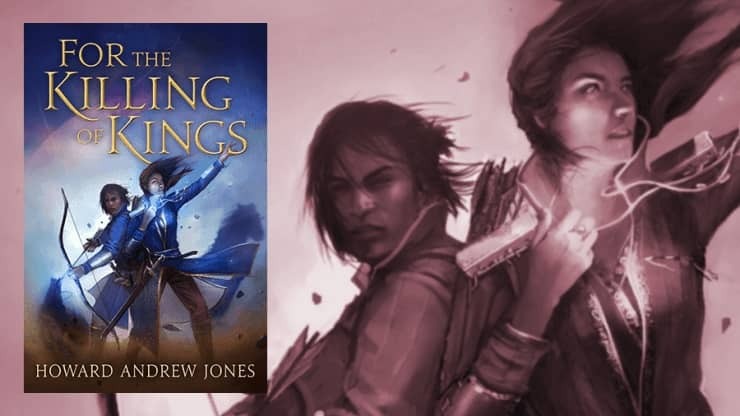 For The Killing of Kings is a white knuckle murder mystery brilliantly set in a Zelazny-esque fantasy landscape. It has everything ― enchanted blades, magic rings, edge-of-your seat sword fights, Game of Thrones-scale battles, ancient legends… It is the finest fantasy novel I have read in years. The Tor.com excerpt features one of my favorite scenes, as Kyrkenall and Elenai approach a strange tower and find it defended by a mysterious ring of obelisks… and something far more sinister. Read the complete chapter here. If you find yourself captivated by the excerpt, you won’t have long to wait. For the Killing of Kings will be published by St. Martin’s Press in three weeks, on February 19, 2019. It is 368 pages, priced at $26.99 in hardcover and $13.99 in digital formats. The cover artist is uncredited. In addition to the exclusive Tor.com excerpt, you can also read the first chapter at the Macmillan website here, and keep up with the latest news at Howard’s website here. Next on my TBR pile! Definitely going onto my list. whoa awesome, i had no clue. i will read anything that brought me the Magicians Skull! can’t edit comment, sorry, meant to say will read anything by the guy that brought me the Magicians Skull.